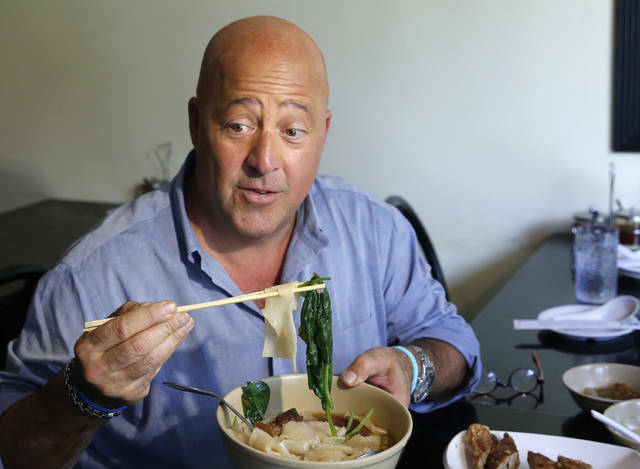 MINNEAPOLIS (AP) — “Bizarre Foods ” host Andrew Zimmern is apologizing for his comments about Chinese restaurants after he was criticized as culturally insensitive. Last week, Fast Company posted an interview from the summer in which Zimmern says he was saving the souls of people who dine at “(expletive) restaurants masquerading as Chinese food” in the Midwest. The Eater said his remarks represented cultural elitism. The Washington Post called them insulting.